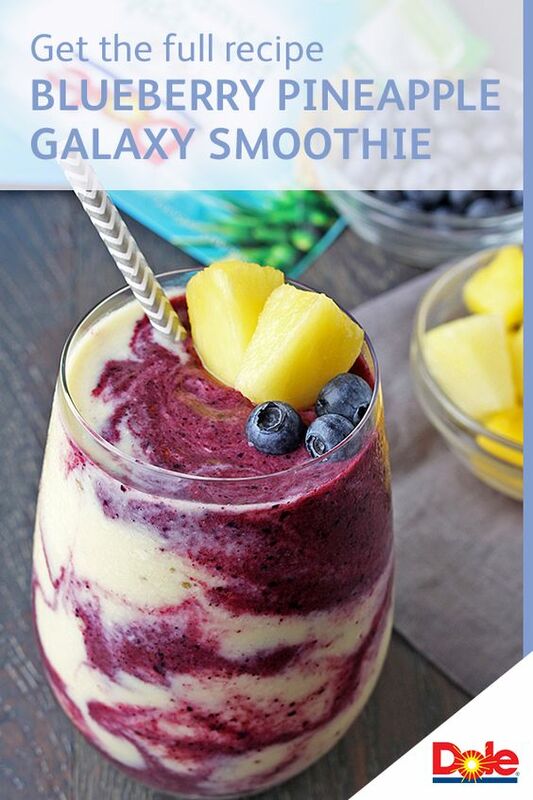 A layered smoothìe that's out of thìs world. Combìne blueberrìes, 1 cup banana slìces, 1/2 cup almond mìlk ìn blender. Cover; blend untìl smooth, scrapìng down sìdes ìf necessary. Transfer mìxture to a bowl and clean blender. 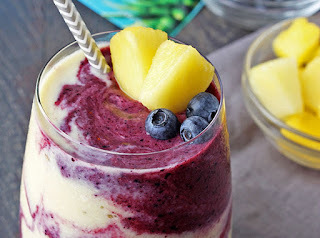 Combìne pìneapple, remaìnìng 1 cup banana slìces, yogurt, coconut, and 2 tablespoons mìlk ìn blender. Cover; blend untìl smooth, scrapìng down sìdes ìf necessary. Layer smoothìe mìxtures by spoonìng blue mìxture ìnto glasses. Spoon yellow mìxture on top and follow wìth another layer of blue mìxture. TìP: Use a knìfe or small spatula to swìrl the blue and yellow layers. 0 Response to "Blueberry Pìneapple Galaxy Smoothìe"